The Martinique Tourism Authority (MTA) has announced record breaking cruise arrival growth, according to a statement. The MTA said 151 calls were added in addition to the previously scheduled 214 calls for the 2017/2018 cruise season, according to a statement. This resulted in a 70% increase from the initial forecast, up due to diverted calls from islands that were hit by hurricanes earlier in the season. Nearly 120,000 cruise passengers visited the island in the single month of December 2017, and a total of 511,147 passengers arrived via cruises for the year, the MTA said. “We are elated to announce that the island of Martinique is welcoming thousands of new cruise passengers every year during the peak cruise seasons. Through strategic partnerships, we have been able to position the island as a cruise destination of choice in the U.S. and European markets. We are committed to continuously improving amenities, facilities and infrastructure. Our island is the perfect destination for the discerning traveler whether one’s interest lies in eco-tourism, superb gourmet food, prestigious rum, exciting water sports, events, culture or just simply pampering. The welcome is warm and we are eager to share our unique French-Caribbean Creole culture with our American guests.” – said Karine Mousseau, Martinique Tourism Commissioner. In addition to the two main cruise ports in the capital of Fort-de-France, Martinique received in 2017, 36 calls of luxury and boutique vessels at various unique anchorages around the island: 8 at Anses d’Arlet, 8 at Le Marin, 4 at St. Pierre, 15 at Trois-Ilets; indicating more than 200% growth from the previous year. 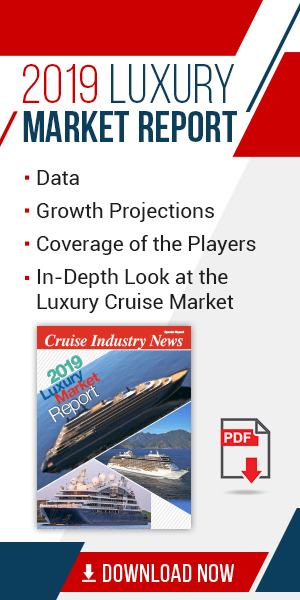 Overall, the number of calls and the number of cruise passengers have steadily increased from 2011 to 2017, representing a growth of + 246% of cruise ships and + 993% of cruise passengers welcomed. New improvements to the passenger experience include greeters pierside, taxi vouchers and community outreach, the MTA said. There are also numerous new shore excursions, new terminal signage and more. The Tourelles Cruise Terminal in Fort-de-France also received an upgrade, with expanded facilities, additional security lines and new VIP room for larger home ported vessels.